Aha. Btw am interested to know your opinion of AthertonManor, when you have time. Yeah, I definitely have to give it a look, as well as Rebel's Ruins. Just haven't found much time to do so yet. Even at the outer edges of the abandoned safari park, nature has begun to overwhelm much of the man-made construction. Clusters of palms and bushes make up the lower layers of the jungle while the taller plants struggle for a glimpse of the sun high up in the canopy. Although much of what constituted the visitor-friendly parts of Jurassic Park was contained in the central Visitor Compound area, some outlying facilities at what seems like the fringes of civilization offer much-needed respite from the dangers that occupy the inner parts of the island. Geez, it's been a while since the last update! Basically I've been so busy as of late that I haven't really done much work on the mod (although I did do a bit of work on an unrelated for-fun small level I've been working on on-and-off for a while ). I've been playtesting the level here and there just to see what looks good, what works, what doesn't, etc. Anyway, it seems there is now a crashing problem going on in the middle part of the level that seems pretty consistent, but I think I know the cause luckily. Will have to do some more testing, but for now I've refrained from adding anything else until this problem is solved as adding more stuff would just compound the problem. Pretty sure the problem will be solved easily and production will resume as soon as I get a chance to actually go into the level and try the fix! Outside of the level itself, I've just done a tiny bit more modelling, but nothing that I can show without spoiling things. 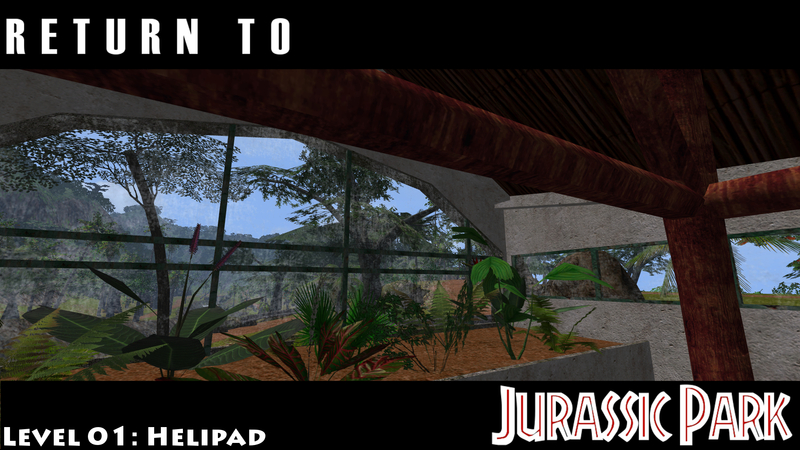 I've also continued compiling sounds for the level, including new sounds for a number of dinosaurs including gallimimus, plus the additional generic eating sounds and new footsteps for the T-rex. The galli sounds in particular were difficult to get right as I had to work around the sounds of the stampede in order to get good samples straight from the movie. I then mixed together the movie's galli sounds with some additional sounds to create a variety of squeals and squawks from the 5 sounds I managed to salvage. There are also a few situational sounds such as doors opening which I've worked on. Even the door sounds are based on audio from the movie - the "heavy wooden door" sound, for instance, was made to sound similar to the sound of the VC's front door opening (something most people wouldn't ever notice, but that's the degree of film-accuracy I aim for!). Sounds/looks great, mate. I was and continued to be worried about final level stability. I recommend approximate-final-obj-complexity testing - that is, non-designed random implementation of projected final object densities throughout the various areas to be in ~helipad, for purposes of stability testing. My two cents. Just posting to say that I'd like to welcome our newest member, lyc_sprit3, to the team! He's a skilled modeller with plenty of past experience, which should help to speed development of the mod significantly. ...oh yeah, I really need to make an official team list thread. 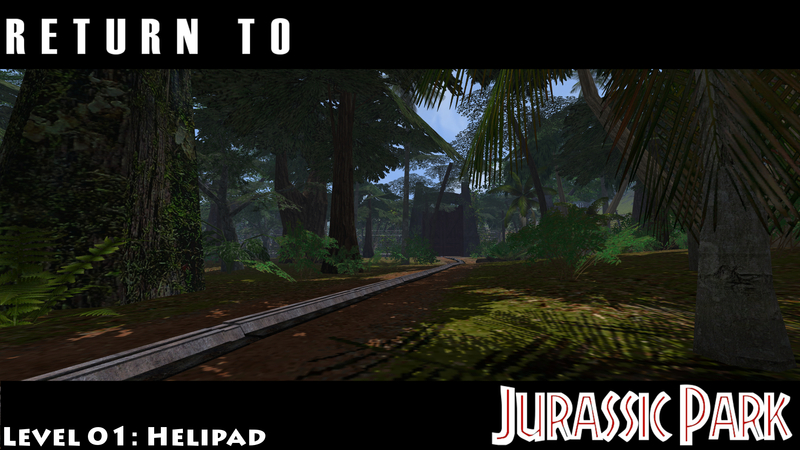 Wow, well Welcome to Jurassic Park the Infinite Mod!